Researchers from the Boston area, Mexico, and Norway have completed a comprehensive genomic analysis of cervical cancer in two patient populations. The study identified recurrent genetic mutations not previously found in cervical cancer, including at least one for which targeted treatments have been approved for other forms of cancer. The findings also shed light on the role human papillomavirus (HPV) plays in the development of cervical cancer. The study, which appeared online on December 25, 2013 in Nature, addresses a public health concern of global significance: cervical cancer is the second most common cancer in women and is responsible for approximately 10 percent of cancer deaths in women – particularly in developing countries where screening methods are not readily accessible. Almost all cases of the disease are caused by exposure to HPV and it is expected that vaccination efforts targeting HPV will decrease cervical cancer cases over time. In the meantime, however, the disease remains a significant threat to women's health. "Cancer is a disease that affects the whole world, and one question that always arises is: is a given cancer type similar or different across populations?" explained Dr. Matthew Meyerson, one of the paper's co-senior authors. Dr. Meyerson is a professor of pathology and medical oncology at Dana-Farber Cancer Institute and a senior associate member of the Broad Institute. Scientists have obtained the first detailed molecular structure of a member of the Tet family of enzymes. The finding is important for the field of epigenetics because Tet enzymes chemically modify DNA, changing signposts that tell the cell's machinery "this gene is shut off" into other signs that say "ready for a change." Tet enzymes' roles have come to light only in the last five years; they are needed for stem cells to maintain their multipotent state, and are involved in early embryonic and brain development and in cancer. The results, which could help scientists understand how Tet enzymes are regulated and look for drugs that manipulate them, were published online on December 25, 2013 in Nature. Researchers led by Xiaodong Cheng, Ph.D., determined the structure of a Tet family member from Naegleria gruberi by X-ray crystallography. The structure shows how the enzyme interacts with its target DNA (see image courtesy of Dr. Xiaodong Cheng, Emory University), bending the double helix and flipping out the base that is to be modified. "This base flipping mechanism is also used by other enzymes that modify and repair DNA, but we can see from the structure that the Tet family enzymes interact with the DNA in a distinct way," Dr. Cheng says. Dr. Cheng is professor of biochemistry at Emory University School of Medicine and a Georgia Research Alliance Eminent Scholar. The first author of the paper is research associate Hideharu Hashimoto, Ph.D. A team led by Yu Zheng, Ph.D., a senior research scientist at New England Biolabs, contributed to the paper by analyzing the enzymatic activity of Tet using liquid chromatography–mass spectrometry. Using oxygen, Tet enzymes change 5-methylcytosine into 5-hydroxymethylcytosine and other oxidized forms of methylcytosine. Sanford-Burnham Medical Research Institute scientists have discovered a new molecule that forms when certain white blood cells—macrophages—are stimulated in response to pathogens. The molecule, termed "THRIL," helps regulate the immune response and shows an association with Kawasaki disease. The findings suggest that THRIL may contribute to other inflammatory diseases such as rheumatoid arthritis and inflammatory bowel disease. The study, published online on December 26, 2013 in PNAS, measured large intergenic noncoding RNA (lincRNA) produced when the immune system is activated. One lincRNA was found to bind heterogenous nuclear ribonucleoprotein L (hnRNPL), creating a new molecule that regulates genetic control of TNF-alpha—a potent cytokine that promotes inflammation. The authors named the molecule THRIL, after TNF-alpha and hnRNPL-related immunoregulatory lincRNA. Large noncoding RNA corresponds to the parts of the genome that do not code for protein. "For some time we have known that noncoding regions of RNA play important roles in regulating the immune response to microbial pathogens," said Tariq Rana, Ph.D., senior author of the study and professor in the Sanford Children's Health Research Center and director of the RNA Biology Program at Sanford-Burnham. "When we realized that THRIL functioned to control the TNF-alpha gene, we wanted to see if it mirrors the progression in inflammatory diseases." Collaborating with Jane Burns, M.D., professor of pediatrics at Rady Children's Hospital and the University of California-San Diego (UC San Diego), Dr. Rana's team measured THRIL levels in Kawasaki disease samples at different stages of the disease, and found that levels were at their lowest during the acute stage of the disease—when TNF-alpha levels are at their highest. Computing resources at the U.S. Department of Energy’s (DOE) Argonne National Laboratory have helped researchers gain a better grasp on how proteins misfold to create the tissue-damaging structures that can lead to type 2 diabetes. The structures, called amyloid fibrils (see image), are also implicated in neurodegenerative conditions such as Alzheimer’s and Parkinson’s, and in prion diseases like Creutzfeldt-Jacob and mad cow disease. The results pinpoint a critical intermediate step in the chemical pathway that leads to amyloid fibril formation. With the new culprit in view, future work could target a possible treatment, such as designing an inhibitor to interfere with the harmful pathway. The results also help reconcile earlier data from other labs that until now appeared contradictory. An amyloid fibril is a large structure consisting of misfolded proteins. Such fibrils form plaques, or areas of tissue damage, that researchers can observe with microscopes. Fibrils are believed to arise when proteins deviate from their normal 3D structures and instead adopt misfolded states that tend to clump together. Like puzzle pieces, proteins are only useful when they have the correct shape. And because the fibrils they form when misfolded are strong, scientists believe that hope lies primarily not in dismantling them, but in heading off the folding errors. The researchers used two main approaches to identify the intermediate step and understand the pathway. University of Wisconsin-Madison professor Martin Zanni used a sophisticated technique that relies on 2-D infrared spectroscopy to follow the sequence of events in the chemical reactions leading to fibril formation. His technique can measure extremely fast processes using very small samples. Then Drs. The genomes of organisms from humans to corn are replete with "parasitic" strands of DNA that, when not suppressed, copy themselves and spread throughout the genome, potentially affecting health. Earlier this year, Brown University researchers found that these "retrotransposable elements" (RTEs) were increasingly able to break free of the genome's control in cultures of human cells. Now, the researchers have shown that RTEs are increasingly able to break free and copy themselves in the tissues of mice as the animals aged. In further experiments, the biologists showed that this activity was readily apparent in cancerous tumors, but that it also could be reduced by restricting calories. "As mice age, we are seeing deregulation of these elements and they begin to be expressed and increase in copy number in the genome," said Dr. Jill Kreiling, a research assistant professor at Brown, and leader of the study published online on December 7, 2013 in an open-access article in the journal Aging. "This may be a very important mechanism in leading to genome instability. A lot of the chronic diseases associated with aging, such as cancer, have been associated with genome instability." Whether the proliferation of RTEs is exclusively a bad thing remains a hot question among scientists, but what they do know is that the genome tries to control RTEs by wrapping them up in a tightly wound configuration called heterochromatin. In their experiments, Dr. Kreiling and co-corresponding author Professor John Sedivy found that overall, the genomes of several mouse tissues become more heterochromatic with age. But they also found, paradoxically, that some regions where RTEs are concentrated became - loosened up instead , particularly after mice reached the 2-year mark (equivalent to about the 70-year mark for a person). Many rare disorders, like sickle cell anemia, are caused by gene mutation. Yet, until now, the underlying genetic cause of more common conditions – for example, rheumatoid arthritis – has eluded scientists for years. New research from Case Western Reserve University School of Medicine finds that six common diseases arise from DNA changes located outside genes. The study from the laboratory of Peter Scacheri, Ph.D., shows that multiple DNA changes, or variants, work in concert to affect genes, leading to autoimmune diseases including rheumatoid arthritis. Further, for each disease, multiple different genes are manipulated by several small differences in DNA. The study is entitled, “Combinatorial Effects of Multiple Enhancer Variants in Linkage Disequilibrium Dictate Levels of Gene Expression to Confer Susceptibility to Common Traits.” In the study, the authors present evidence that for six common autoimmune disorders (rheumatoid arthritis, Crohn’s disease, celiac disease, multiple sclerosis, lupus, and ulcerative colitis) genome-wide associations arise from multiple polymorphisms in linkage disequilibrium that map to clusters of enhancer elements active in the same cell type. The authors say that this finding suggests a “multiple enhancer variant” hypothesis for common traits, whereby several variants in linkage disequilibrium impact multiple enhancers and cooperatively affect gene expression. They go on to show that multiple enhancer variants within a given locus typically target the same gene. The authors conclude that the “multiple enhancer variant” hypothesis offers a new paradigm by which non-coding variants can confer susceptibility to common traits. The research was published online on November 6, 2013 in Genome Research. The role of microRNAs (miRNAs) is fundamental for the correct moment-to-moment adjustment in the expression of target genes. 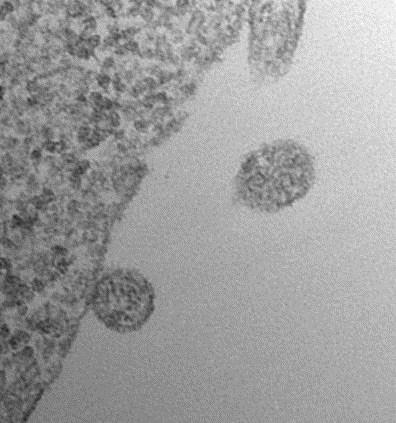 "Before this study, we already knew that these small molecules could be packaged into small vesicles (exosomes) and exported to the extracellular space, to be later captured by other cells and in this way play an important role in intercellular communication," explains CNIC (Centro Nacional de Investigaciones Cardiovascularis in Madrid, Spain) researcher Carolina Villarroya, the first author on a study published online on December 20, 2013 in an open-access article in Nature Communications. The study was entitled, “Sumoylated hnRNPA2B1 Controls the Sorting of miRNAs into Exosomes through Binding to Specific Motifs.” What was not known until now was the mechanism by which miRNAs are encapsulated and exported. And this is precisely what graduate researcher Villarroya and Dr. María Mittelbrunn—from Professor Sánchez Madrid's group—have discovered, working closely with Dr. Fátima Sánchez Cabo of the Bioinformatics Unit and Dr. Jesús Vázquez of the Proteomics Unit. The Nature Communications article describes how a specific group of miRNAs that are actively exported in nanovesicles (exosomes) from human T lymphocytes share specific nucleotide sequence patterns called EXOmotifs. When these EXOmotifs are mutated, export of these miRNAs is impeded; and when they are introduced into other miRNAs, export is facilitated. EXOmotifs provide the binding site for a protein called hnRNPA2B1, which is responsible for transporting miRNAs to the interior of exosomes. hnRNPA2B1 is also implicated in the transport of the genomic RNA of viruses such as HIV to sites of exit to the cell exterior. Zone in with Zon—Are Publications Accelerating More Quickly Than Science Itself? Dr. Gerald Zon’s latest “Zone in with Zon” blog post, dated December 16, 2013, and published by TriLink BioTechnologies of San Diego, asks the provocative question of whether scientific publications are accelerating at a faster rate than the science itself. He noted that a series of perspective articles in the October 4, 2013 issue of Science focus on the accelerating volume of scientific literature, due in part to the advent of the web and the proliferation of journals. Dr. Zon added that the Science series indicated that a new paper is now published every 20 seconds, which equates, he says, to 1,576,800 new papers a year. His comment on this astounding statistic was simply, “Yikes!”. Dr. Zon recommends a number of different approaches to keeping up amidst this inundation of publications. He notes the utility of RSS feeds and also recommends feeds freely available through PubMed and Google. He also recommends searching on subjects of interest in Google Scholar and then clicking on the Create Alert icon to generate timely messages regarding publications of interest. Dr. Zon also addressed the so-called “Dark Side” of open-access journals and cited the example of a fake paper being created and purposely filled with errors and then submitted to approximately 300 open-access journals. 157 of these journals accepted the fake study for publication. Dr. Zon notes that retractions are now so frequent that there is even a web site (Retraction Watch) that keeps track of them. Dr. Zon believes that this site is well worth visiting. He used a reasonable approach to estimate the number of papers produced in 2013 in certain key areas. In order of volume, were: gene expression: 61,500; PCR: 58,000; sequencing: 29,000; hybridization: 15,500; primers: 9,200; and oligonucleotides: 8,500. So far, the specialized skill for recognizing facial features holistically has been assumed to be a quality that only humans and possibly primates possess. Although it’s well known that faces and eye contact play an important role in the communication between dogs and humans, the study described here is the first in which facial recognition of dogs was investigated with eye movement tracking. The work was reported in the December 2013 issue of Animal Cognition. Typically, animals’ ability to discriminate between different individuals has been studied by training the animals to discriminate between photographs of familiar and strange individuals. The researchers, led by Professor Outi Vainio at the University of Helsinki, tested dogs’ spontaneous behavior towards images – if the dogs are not trained to recognize faces, are they able to see faces in the images and do they naturally look at familiar and strange faces differently? “Dogs were trained to lie still during the image presentation and to perform the task independently. Dogs seemed to experience the task rewarding, because they were very eager to participate,” says Professor Vainio. Dogs’ eye movements were measured while they watched facial images of familiar humans and dogs (e.g., dog’s owner and another dog from the same family) being displayed on the computer screen. As a comparison, the dogs were shown facial images from dogs and humans that the dogs had never met. The results indicate that dogs were able to perceive faces in the images. Dogs looked at images of dogs longer than images of humans, regardless of the familiarity of the faces presented in the images. This corresponds to a previous study by Professor Vainio’s research group, where it was found that dogs prefer viewing conspecific faces over human faces.